If someone told you they kept a wine for 84 years in barrel before bottling, you'd think they are nuts, right? 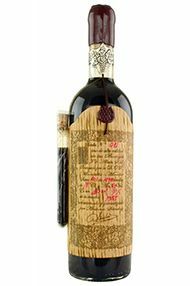 Well, that's what the folks at Toro Albalá in Aguilar de la Frontera - in the province of Cordoba, part of the Montilla Moriles appellation - did with their 1931 Don PX Convento Selección. This is part of what they call 'vinos olvidados,' which means 'forgotten wines.' The border is amber, with green tints that denote very old age. Such old age provides an array of unusual aromas and flavors, including iodine and salt that compensate the sweetness (403 grams) and even the alcohol (18%). It's terribly balsamic, with notes of dry herbs and spices, cigar ash, carob beans (algarrobas), incense and noble woods. The palate is very, very sweet and concentrated, unctuous, dense, with a chewy texture. This goes beyond a glass of wine, a drop of it is like having a piece of cake. I don't think this reaches the complexity and depth of the 1946, which remains the benchmark for these old sweet PX, but it's truly terrific! 9,650 bottles were filled in June 2015. One more single-harvest, old sweet wine, the 1955 Don PX Convento Selección was bottled in September 2014 and it had been aged slowly in very old American oak barrels and getting thick and concentrated through evaporation. It's 320 grams of sugar are (partially) compensated by 6.5 grams of acidity. 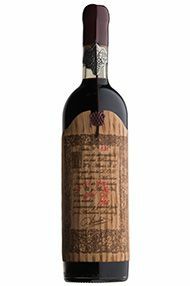 It has a nose and palate of chocolate-covered candied orange, spices, molasses.